When only the best will do, gift our hand-crafted collections of our most popular treats in festive gift boxes for the foodie in your life. The ultimate luxury sweets box! With so many options and such a variety of products, this is a great gift for a large gathering or office party or a perfect executive corporate gift! This charming gift box contains 2 baker’s dozen (26) of our mini 1 oz. 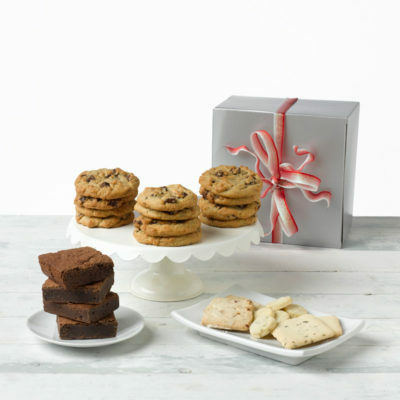 Classic Chocolate Chunk Minis – a perfect gift for anyone for any occasion! 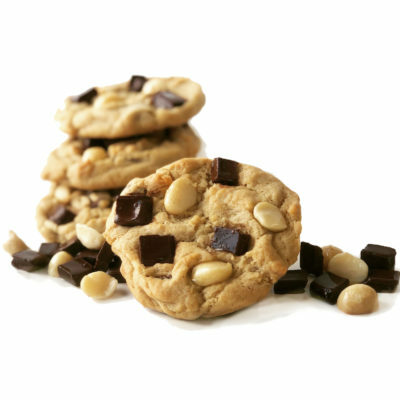 For your friend who loves something different, Najla’s cookie collection also makes a wonderful gift. 24 big cookies nestled in decorative tissue and a lovely silver box. Satisfy and nourish the whole body, not just the sweet tooth! 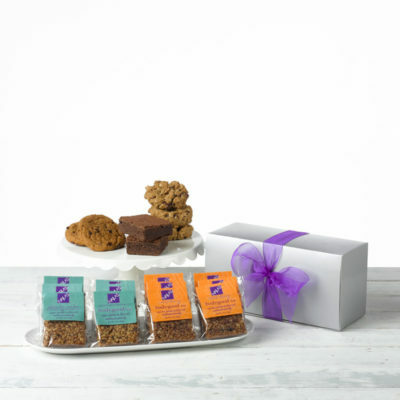 Our healthy box contains a medley of our goodies and it’s all so tasty, it’s easy to forget it’s healthy. Nine festive boxes filled mini classic chocolate chunk cookies, tied with a seasonal bow and ready to gift. A perfect solution for teachers’ gifts or hostess gifts, stocking stuffers and little gestures of kindness. Finished with a seasonal bow and a canister of our homemade double dark chocolate hot cocoa mix, this is 5 beautiful and delicious gifts in one! Ideal for hostess gifts, teacher’s gifts, holiday office gifts.